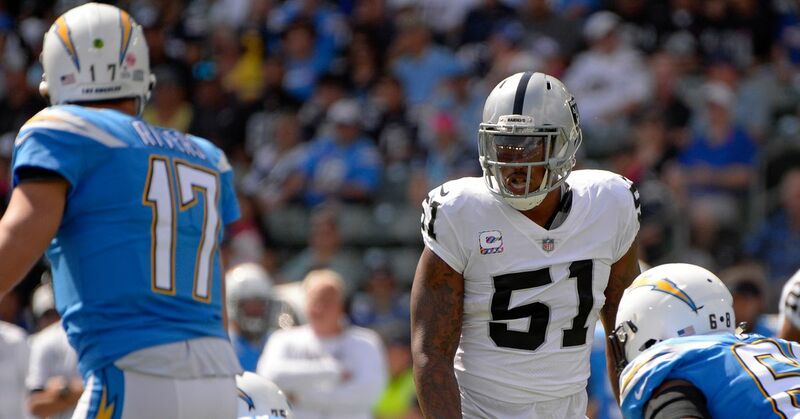 Late last Saturday afternoon on the East Coast, big news broke when it was reported that the Oakland Raiders would waive veteran linebacker Bruce Irvin. There was speculation from multiple parties that the Seattle Seahawks would be the front runner for his services if he cleared waivers, but that proved incorrect and Irvin eventually signed with his hometown Atlanta Falcons early Wednesday. As bad as some of the moves for the Hawks have been this season, at least they’re logical compared to how boneheaded some reports surrounding the Irvin situation have been. If at least one team puts in a waiver claim on the player, the player is awarded to the team that had the highest “waiver priority” during the waiver period. Waiver priority may seem complicated, but it is also relatively simple as it is determined by how good each team is relative to the other teams. Basically, the teams are ranked from worst to best by record, and the worst team that put in a waiver claim is the team that is awarded the player on waivers. To illustrate this, here are the current NFL standings in reverse order, with the worst team listed at the top. In effect, the most basic way to think about waivers is that it is a one round draft, and the team with the highest draft position that puts in a bid for a player gets the player. It’s that simple. Now, if a player goes on waivers and is unclaimed, it’s the same as a player going undrafted in the NFL Draft in the spring and becoming a free agent. That’s exactly what happened with Irvin. Now the unique part about what happened with Irvin is that for the majority of the year when veterans such as Irvin are waived, they immediately become a free agent. However, from the trade deadline (4 PM New York Time on Tuesday after Week 8) through the end of the season, all waived players – regardless of veteran status – are subject to waivers. This is simply a protection for competitive purposes to prevent teams from reaching under the table agreements between each other to waive a certain player late in the year when they are out of contention in order to allow another team to sign them. For example, an unscrupulous team from say, the greater Boston area could reach out to a team that is out of contention, such as the Arizona Cardinals, and reach an agreement whereby the Cardinals release Larry Fitzgerald for the purpose of signing Fitz for a playoff run. Now, while I’d love to see Fitzgerald win a ring, and I hate to see how the team around him is performing in the twilight of his career, I think most of us don’t want to see certain teams take advantage of loopholes in the system. Requiring vested veterans to go through waivers simply keeps that loophole closed. One thing I have heard asked is whether the waiver system is also partially designed to allow veteran players to keep their contracts in place, but that is far less of an issue. Specifically, under Article 30 of the Collective Bargaining Agreement, if a vested veteran is on the Week 1 roster for an NFL team, he is eligible for Termination Pay. Termination pay is not complicated – it gives a vested veteran his full salary for the season in which he was released, as long as he was on the roster for Week 1 and released after that point. It is, nothing more than guaranteed salary for the single season in which the player was released. Moving on to my last point, while several of the roster moves the Hawks front office has made in recent seasons, none strike me as obnoxious as the recent reports out of the Bay Area that the San Francisco 49ers tried hard to sign Irvin after his release. The #49ers went hard after DE Bruce Irvin, according to a source. Irvin, whom the Raiders released on Monday, received interest from about 10 teams. He signed a one-year deal this morning with the Falcons, which means he will be available as a free agent in March. The fact that the 49ers “went hard” after Irvin strikes me as completely unfounded. They may have tried to put on a full song and dance and simply expected Irvin to sign right away like Richard Sherman did last spring, however, Irvin was there for the taking for any team in the league, not just the 49ers. Specifically, Irvin went unclaimed off waivers, meaning that if the 49ers wanted to bring in Irvin, all they had to do was put in a claim. Claiming Irvin would have cost the 49ers $3.76M in salary cap space for the remainder of 2018, of which they have $36.642M according to the NFLPA public salary cap report. So, while the Seahawks have tossed away millions in recent seasons on players like Eddie Lacy and Luke Joeckel, and other franchises continue to want to donate money to the Sam Bradford individual wealth fund, for once the 49ers tightented the purse strings. I guess once a GM has handed out $48.7M in fully guaranteed money to a quarterback with single digit starts and a three-year, $39M contract to a cornerback coming off Achilles surgery, $17M fully guaranteed to a wide receiver on the wrong side of 30 and $47.5M to a center who isn’t actually all that good that $3.76M is simply too much to give a pass rusher for seven games and where the team draws the line. I guess I just can’t really understand a team complaining about not winning the Irvin sweepstakes, when all it had to do was pony up a small bit of its salary cap space and Irvin would be suiting up in red and gold for the must-see Monday Night Football match up between the 49ers and the New York Giants.